Posted on May 23, 2013 by Nida S.
When it comes to matters of loyalty, immigrants are favored as much as layers of brown scum floating on a hot cup of tea . Patriots stand united in their fight against sinister immigrants. Rest assured, no in-depth research has gone into this statement. I say this mostly out of a sense of self-imposed guilt. As a child, I was the outdoorsy sort who developed an ulcer if anyone mentioned playing with dolls. This led to a love for playing sports and reading books and of course travelling – within and out of Pakistan. Living in America for a couple of years in the 90’s was a magical time. Disney land, Hollywood, The Rockies, Ice cream sandwiches, free breakfast at school, double dutch meant only one thing for a 10 year old – BLISS. It was amusing when most Americans had no idea of what and where Pakistan was (or Paskastand, as many repeated when I gave them a short geography lesson). Yet when I returned to my home country, I never thought of moving back. Many years down the lane, my university commenced. Prospects of education abroad soaked the air, leaving me teary-eyed with exasperation. Its not that I did not want to study abroad; the mere thought was exhilarating! However the entire process was long and dreary and ultimately in the end I decided to take the easy road by making peace and studying in Pakistan. I graduated and eagerly jumped the corporate wagon. It did not come as a complete surprise when I saw my colleagues weighing their chances of post-grad studies, either for brighter job prospects or for an easy ticket out of the country. This was an interesting thought that I too became inclined towards. I applied to a few post-grad programs in a couple of continents. I got accepted, however by this time I had another excuse; excessive complacency. My stressful years arrived. I had turned twenty-four and talks of marriage were haunting me like a sociopath hunting down his next kill. Now the ‘IN’ thing these days was to marry an ex-pat with a steady career, a good English accent, a six pack (exaggeration intended) and, limited family members (preferably zero). Thankfully my parents and I agreed on the fact that moving away from family was too bleak a thought to even consider. Hence the proposals tilted towards Pakistani settled families and I was rescued. Now all the while, Pakistan was in dire straits. Ex-prime minister Benazir Bhutto was assassinated (December 2007). Her husband Zardari materialized from ashes and took charge like a greedy wolf waiting for a chance to attack . Pervez Musharaf fled the scene. While at one point modern theaters, malls and restaurants were being developed, many of us Pakistanis had certain other things to look forward too. For instance, whenever there was electricity, we would rejoice, enough to embarrass baboons. On the other side, absence of it for long stretches led to a fit of cursing and cribbing. Numerous other reasons ransacked our minds. Running away from home was not a bad idea anymore. Pakistanis have always been good at migrating, enough to make birds envious. Post subcontinent divide in 1947, many Pakistani migrated to the UK. Then other countries like America, Australia and Canada came into picture. Specifically during the years 2008 and up, anyone who was anyone, was planning to immigrate. Reasons were plenty while their loyalty was as porous as cheese, with many who had genuine reasons too. I must admit; it was also a case of the menacing `latest trend`. Ludicrous ideas about having babies abroad for instant immigration ensued. I was the first to laugh it all off. But not for long, as I too succumbed to the pressure. My loyalty had suffered a gigantic blow. My immigration papers had been filed. Three years since, I sit here comfortably in my new home in Canada, pinning down thoughts of Pakistan; with heavenly weather, peaceful surroundings and intoxicating freedom. I feel grateful to be here in Canada when I see the endless stretch of opportunities that await us. Back home I hear unrelenting news of political and economic problems and I shamefully seek refuge in knowing that my family will be safe from these apparent struggles. Yet in a deep corner of my heart, guilt for abandoning my country vexes me like an ill-shapen shoe . I find wavering solace in knowing that I have a colossal task ahead of me; molding the crucial relationship between my children and Pakistan – a country they were never given the chance to grow up in. Presumably, all the precious memories their parents and grandparents hold on to firmly, will be as difficult for them to comprehend as perhaps rap music by Mozart. I should not expect the impossible from my children yet my heart will be glad if they grow up to love their country; if their eyes swell up in tears every time they see their country folk in distress and take steps to help them – little or big; if they cling on to this connection like a worker bee set on a mission. Siblings like Samina Baig and Mirza Ali (http://blogs.tribune.com.pk/story/17382/samina-baig-and-mirza-ali-pakistan-climbs-mount-everest/ ) give me comfort. I find tranquility in knowing that every morsel of my children’s achievements will be accredited to their native land. But for all of that to happen, I will have to do something useful for Pakistan myself, as opposed to just nostalgic talk. This will be my way of giving back to a country that has given me so much more than I can ever repay. In the meantime, I childishly hope to return to my land when I am old; to a time of carefree abandon, to a life that will once again embrace me with open arms and a warm hug. Yes. Isn’t it difficult? 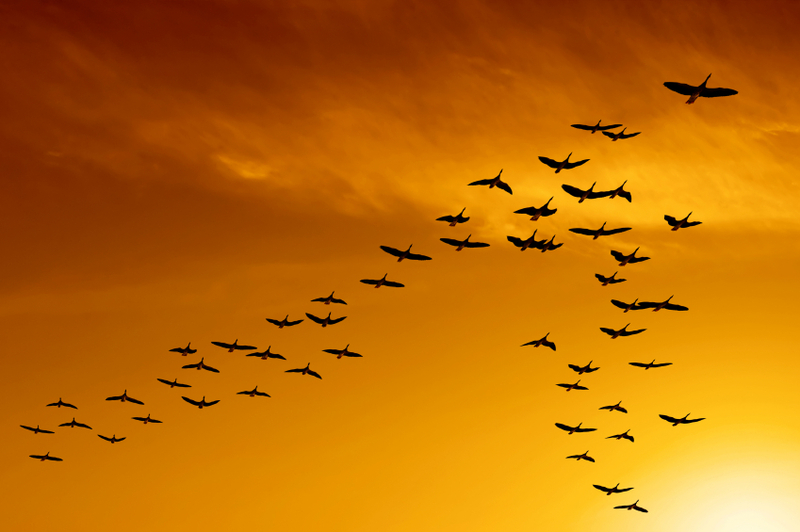 Take some solace in the fact that migrations are an integral part of human history. We would in fact not have been where we are, had people not chosen to move to lands of greater promise. And in no way does it make you a lesser patriot because there is nothing sinister in striving for a better future for yourself and your children. I am sure your parents, and their’s in turn would also have hoped for that and in their own manner done all they could. A Pakistani you’ll always be, as will be your children. That in good time they will forget the land of their birth and as you put it so aptly “precious memories” that their grand parents will continue to cling on – for them time will freeze – is also natural. But then this is the way of live, how things evolve, how we transcend barriers and when you in your turn will be a grandparent, pass on your memories as best as you will. All said and done, you have touched a chord. “Was not the earth of God spacious enough for you to flee for refuge?” (4:97). Why this feeling of guilt? All of the features that justify a migration in our sacred book are abundantly present in our motherland. God’s visa of blessings is available too for those who look for it in right earnest. Take it with a big Thank You God, without any feeling of guilt or remorse. You can still be patriotic and you can still love your country with all the love and affection you had for it before this migration. This is my 18th straight year of separation from my motherland; and for some strange reason all my dreams are still enacted in the streets of Gujrat, Lahore and Islamabad. Not one single dream related with my adopted land yet. Why? I can’t find that answer despite some serious soul-searching. A wonderful piece of writing indeed, ur entire life beautifully summarized in a page, a perfect blend of ur childhood memories, ur present and the years to come.. i just love the way u have described ur fears, emotions, hope n wat not.. keep up the good work! Thank you for reading:)..Appreciate it! Reading some material before starting my day’s work brought me to your article. Heart touching or reality, I asked myself? I don’t know about others, it was reality even beyond relevance for me. Do I miss my homeland, my mother, my brothers, my father, our food, our dressing, festivity, jubilance of everyday life….? I do not miss any, I am missing them all. More than 9 months since I moved to Australia. I have a job, a routine, my wife, my kid, a bit of social circle but still every day I wake up in a bid to find similarities to my homeland, trying finding people who can utter the same words that my heart wants to hear, trying finding eateries that offer the same food that I love to eat. I can find the places and people, but Alas! Warmth and taste still desires more…. I want to write more, but that would make it another blog 🙂 and I am not that type but Your words are not mere a reflection of my desires but a true true impulse that keep haunting me by asseverating to move back. “I do not belong here. I am not meant to be here”. A constant caprice that I want to become reality one day, between shorter visits, Surely, I want to move back permanently. Thank you for your words that encouraged me in keeping faith and surge to move towards that motive. Its reassuring to find that there are other reluctant immigrants out there. Very interesting piece Nida… you’re a great write indeed. Not surprised about your thought process really. I just moved from a tiny condo house into a place that’s twice as big and much better for our growing family’s needs yet I felt absolutely heart broken packing up my stuff thinking how I will not be spending any more days in those rooms where my babies learned to crawl, walk, call me mama. I lived there for five years only and the place is only 15 min from where I have moved to yet I feel like it will take time to let go. Can’t imagine how hard it must be for folks like you who move to other countries all together. Here’s my two cents on your situation though… don’t feel reluctant. Take it as a great opportunity to service the country you left behind. Take the good of the world you have moved to and inspire your friends and family on your visits back home. People in general and Pakistanis especially have a terrible peripheral vision. Call me naive but I think our ‘migrating’ friends can help us clear the periphery a little. The last federal elections in Pakistan were a perfect example of this. We pakistanis, living abroad, could not fathom how the voters could ignore the long list of corruption scandals of the new PM they brought to power (and even without the rigging we know he would have had enough votes to come to power– not with as many seats though). And we realized it’s because pakistanis are sooooo used to the corrupt culture they have gotten accustomed to they cannot imagine it’s possible to live without it. I bet the idea is a fantasy for many. I wish they could see how our Brampton or Alberta’s mayors loose their sleeps over having to answer for their travel budget over-spending.